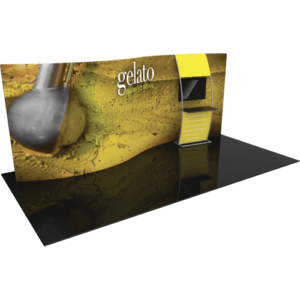 The Formulate® 20 WSC2 Serpentine Curve display is a sophisticated, serpentine shaped fabric exhibit that combines great style with functionality. 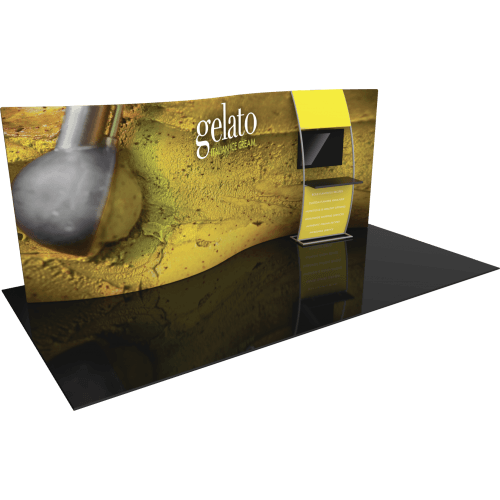 The kit includes an accent ladder that can hold a medium monitor mount for multimedia displays,as well as a counter to hold a keyboard or small products for display. Stretch fabric graphics are hand-sewn, durable and dry-cleanable.